Returns at PKYS are governed by our standard terms and conditions. When you return an item you get money back. We don't do exchanges. You can set up a return yourself by logging in to your account. 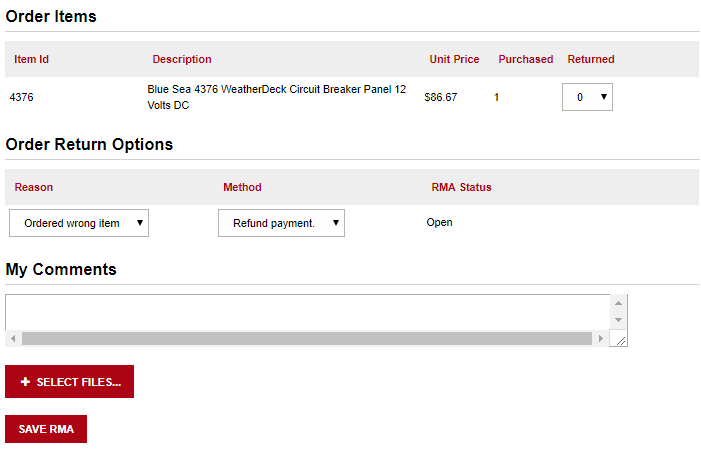 You get to say why you want to return the item, and you can add comments of even add a file.Then you hit SAVE RMA. We will review the request, decide where the item needs to be returned to, and send you an email with instructions.